Today’s been a great day! The humans gave me some cat grass! I’ve been trying to steal their basil plant for ages and I got upset everytime they told me to stop nibbling at it, so I’m super happy to have my very own pot of delicious green stuff to munch on! Since it’s Film on Friday today I can show you just how tasty it is. The humans tried to hide it after they thought I’d had enough but I’m not stupid… I found it! Have you ever eaten grass? It’s so tasty I’d really recommend it! Have a pawesome weekend furiends! Wow, they hid it well, but you found it anyway. MaChatte really likes it. My mom grows it on the deck! However, I eat too much and barf! an indoor only cat should be provided ‘grass’. it provides nutrients and cats also use it to calm an upset stomach. 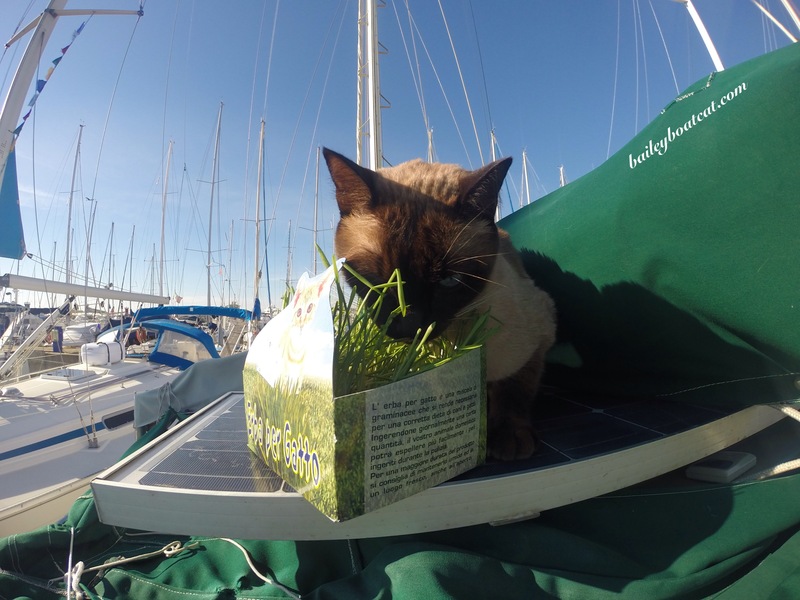 my cat, also a sailor like Bailey (Momma Kitty’s www-page: http://m17-375.webs.com/mommakitty.htm), is indoor only (besides when on the boat) and has grass available when at home, sailing, and when we travel for business (about 45,000 driving miles a year). My Toby loves grass also! I love your films! You are such a star. Angel and Chuck love to munch grass too, Bailey! Chuck only wants the very longest blades; he’s very particular. Wow, your humans really tried to keep that grass away, didn’t they? But no luck! MOL MOL! They weren’t very good at keeping it from you were they Bailey 🙂 Mom grows grass for us so that we have some fresh all the time. Hi Bailey, How do your humans get you to stay on the boat when you are in port? 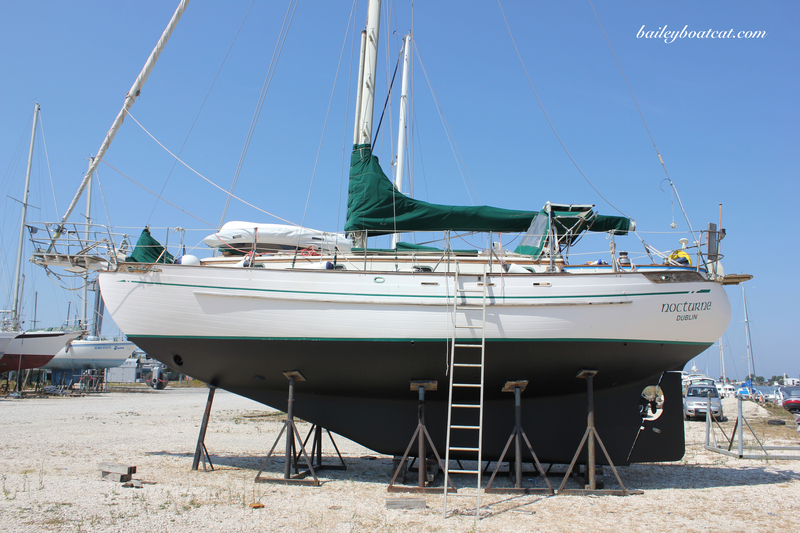 Isn’t it tempting to go exploring off the boat? You look like your enjoying it! !